TOP TEN BEST REGGAE GUITAR PLAYER in JA. 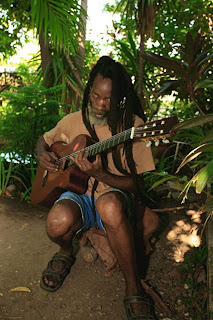 Earl "Chinna" Smith is a Jamaican guitarist, singer, composer, producer, always active, since the late 1960’s !!! 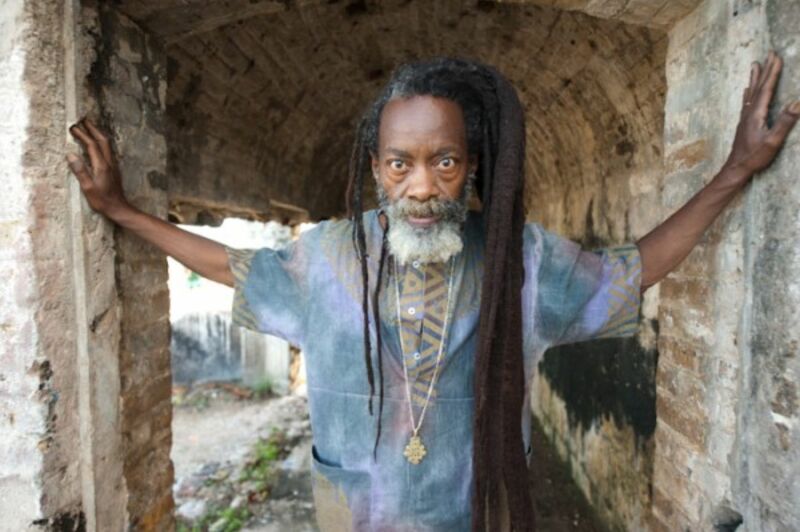 He is most well known for his work with the Soul Syndicate band and the ‘Inna De Yard’ crew. He has recorded with almost all famous Reggae artists, including Bob Marley. He also played various music styles, appearing on more than 500 albums !!! So “he is just a guitar”, but not only, he is also a messenger of Jah, spreading the ‘Rebel music’ positive vibes all over the world !!! Check it out now in the articles and links of this discography, I did it with blessed love… here is my tribute to Chinna : Big Up & Nuff Respect !!! Smith was born on 6 August 1955, and raised by family friends in the Greenwich Farm area of Kingston. His father and godfather were both sound system owners, his father's, Smith's, operated by Bunny Lee. Earl tried to emulate them using a toy sound system, leading to his nickname of "Tuner" (after a hi-fi amplifier), which was corrupted to "Chuner" and later "Chinna". Smith became interested in guitar as a teenager and made his own from sardine cans and fishing line He formed a vocal group with his friend Earl Johnson (who later recorded as Earl Zero) and another youth, and they regularly sat in on sessions by the Soul Syndicate band. 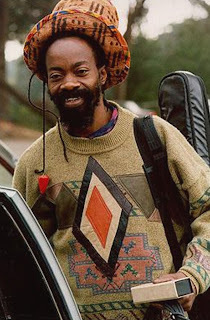 Smith was taught the basics of guitar by the band's guitarist Cleon Douglas, and became so adept at playing the band's repertoire that he was asked to join the band when Douglas emigrated to the United States. In the late 1960s and early 1970s, Smith was the guitarist in Bunny Lee's house band that became known as The Aggrovators. 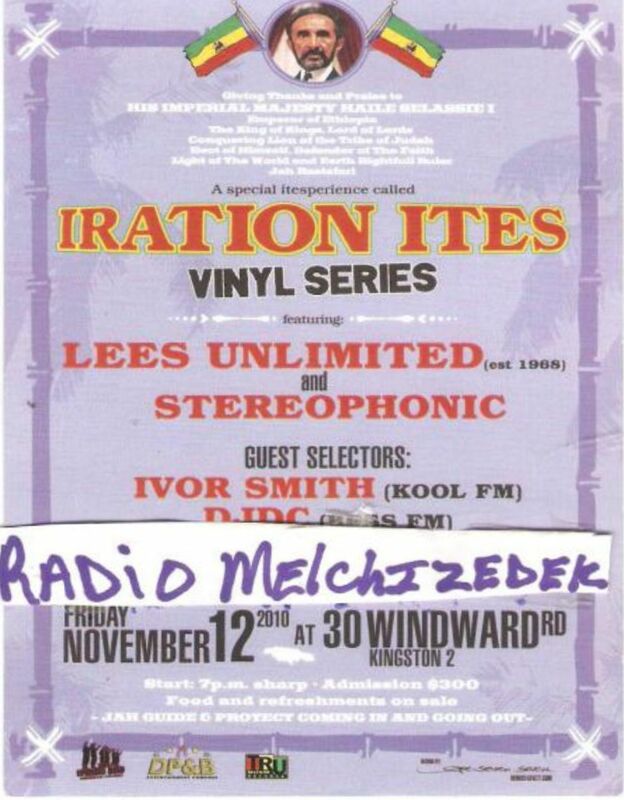 Smith also played in Lee "Scratch" Perry's band The Upsetters. He worked with Bob Marley & the Wailers (in 1975/1976), and later worked with Marley's sons Julian and Ziggy, touring internationally with the latter and playing on his Conscious Party album. He also recorded tracks for mainly dub albums, under the pseudonym Earl Flute, for producer Keith Hudson. 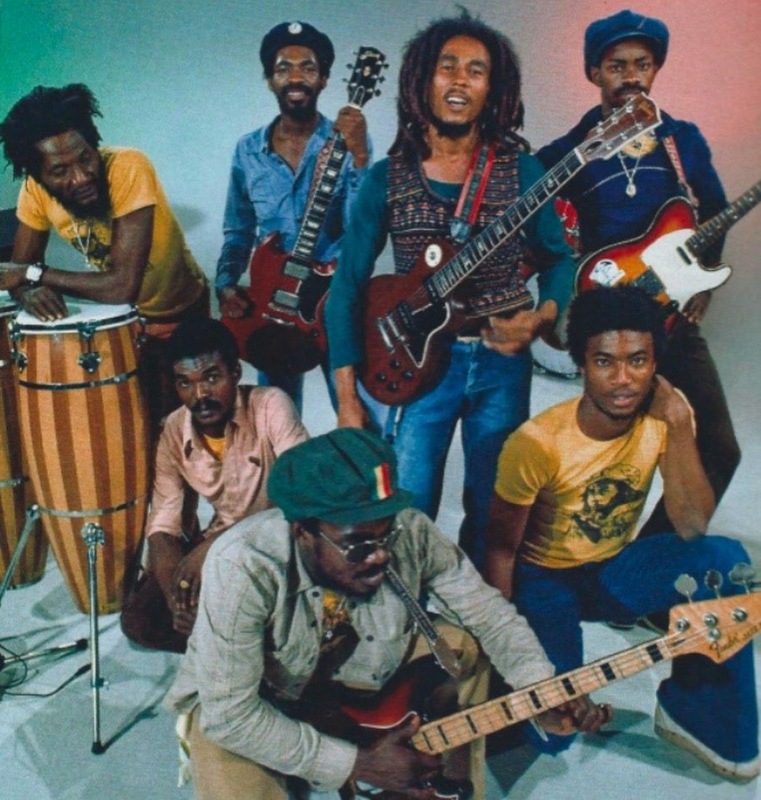 In 1980, Smith went along with Jimmy Cliff’s backing band for a tour in South Africa, while the apartheid system was still in operation overthere. Some scenes including Smith can be seen in the German “Bongo Man” movie, issued in 1982. 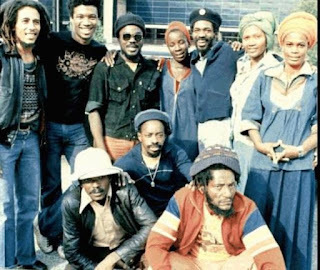 In 1980 onwards, Smith launched his own High Times record label, releasing records by Soul Syndicate, Prince Alla, Freddie McGregor and many more artists or bands. 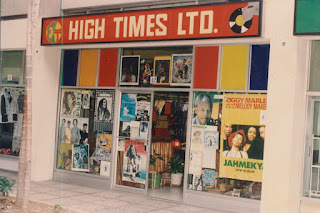 Then he opened a record store in Kingston Mall, downtown Kingston, called “HIGH TIMES LTD.” He also formed the High Times Players (which featured many great Jamaican musicians such as Augustus Pablo, the Wailers rhythm section, Dean Fraser, Bobby Ellis, and David Madden amongst others) who acted as backing band to Mutabaruka. Smith also co-produced Mutabaruka's 1983 debut studio album ‘Check It!’.. A dub version of the album, credited to Smith, was released in 1983 on his High Times label. 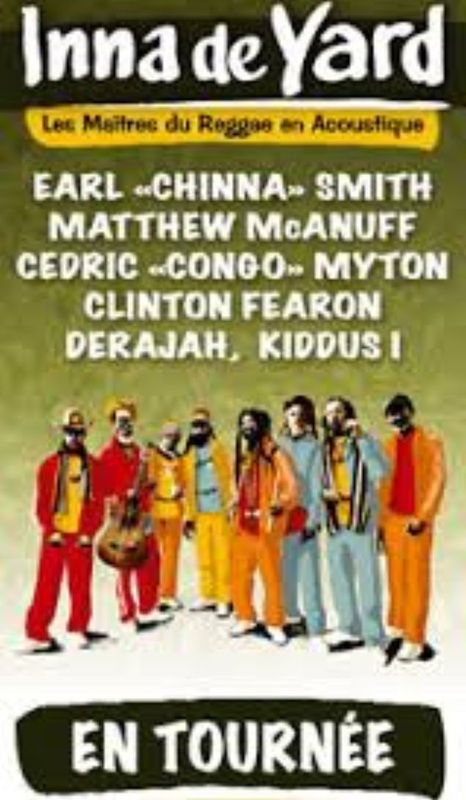 In 1986, Smith appeared as a member of Ernest Reed's (Jimmy Cliff) backing band in the reggae-themed comedy movie “Club Paradise”. As well as working with many of the top Jamaican artists, Smith also recorded with artists such as Lauryn Hill, on “The Miseducation of Lauryn Hill” album (1998), Amy Winehouse, on “Frank “ album (2003), on Joss Jone “Mind Body & Soul“ album’ (2004). The reggae singer Gyptian also had been introduced to Chinna then. Under the guidance of his producer, Mr. Wong, and Chinna Smith, Gyptian honed his sound, winning the 2004 ‘Star Search talent’ competition in Portmore. 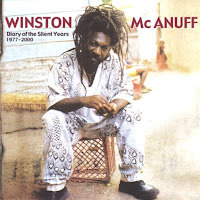 In the 2000’s he worked on a series of acoustic ‘unplugged’ albums recorded ‘live and direct’ in his yard in St. Andrew, featuring some veteran musicians and singers including Kiddus I, Cedric Myton, Linval Thompson, Junior Murvin, and other artists, along with new young talents. 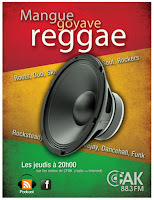 This “Inna de Yard” series has been released by the French label Makasound. 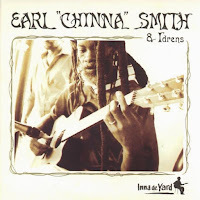 Most of these volumes feature Smith as lead musician, the first two being credited to "Earl Chinna Smith & Idrens" and "Earl Chinna Smith & Idrens vol. 2”. 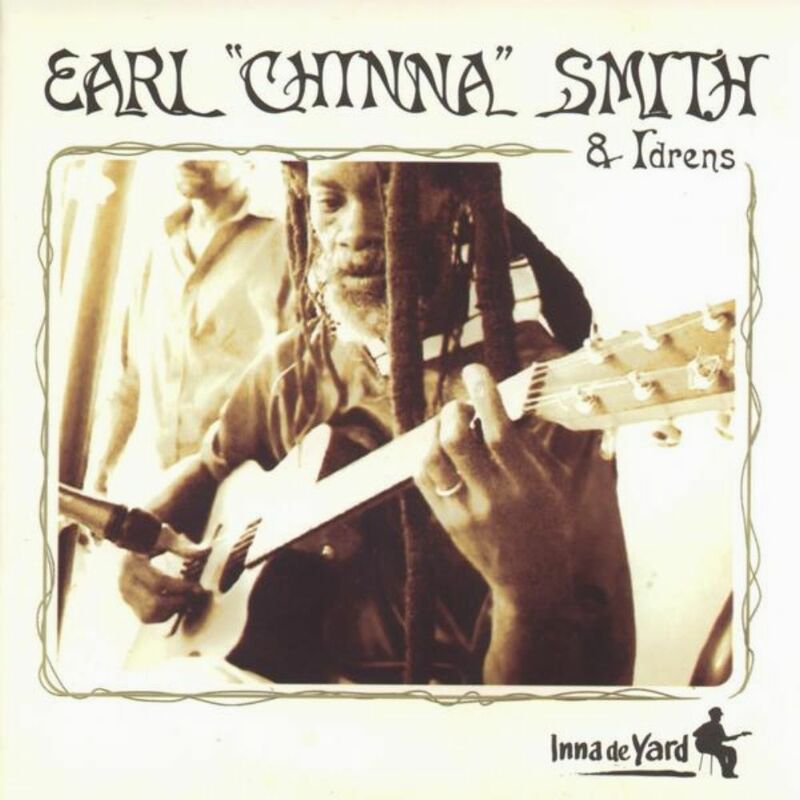 These volumes feature Smith as lead musician, two of them under the name "Earl Chinna Smith & Idrens Inna de Yard" and "Earl Chinna Smith & Idrens vol. 2 Inna de Yard”. 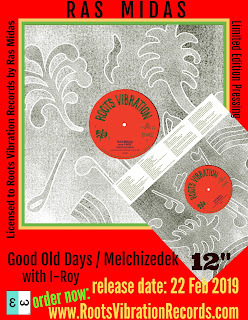 Some tens, possibly hundreds hours of music have been recorded and filmed in Chinna’s yard and in Jah Clive's yard too, since then: over 10 Inna De Yard albums and 4 bonus Dvd’s came out on the Makasound label !!! A French tour has been set then, in 2009, A live recording of these shows has been released, called “Live In France” (Cd + Dvd : 2010). 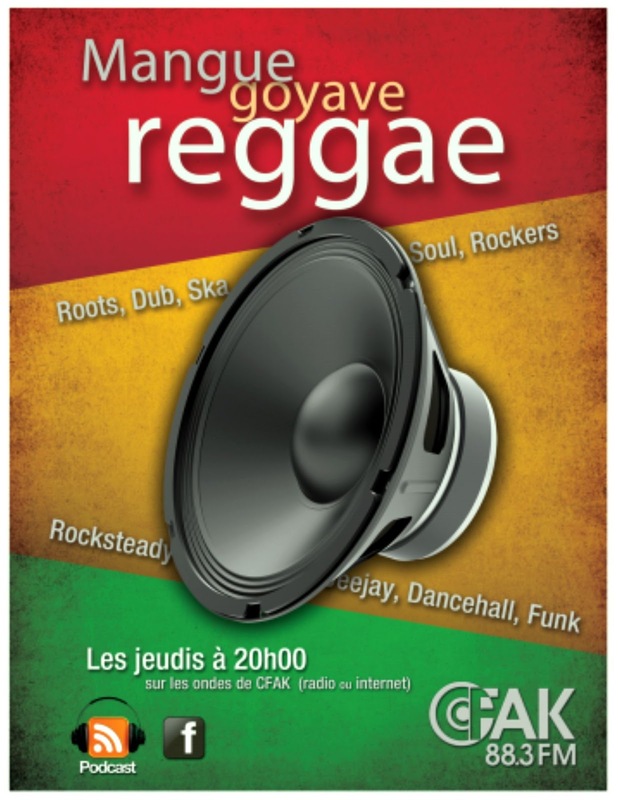 ← In 2009, the Inna de Yard crew went on a French tour. A live recording of these shows has been released, called “Live In France” (Cd + Dvd : 2010). 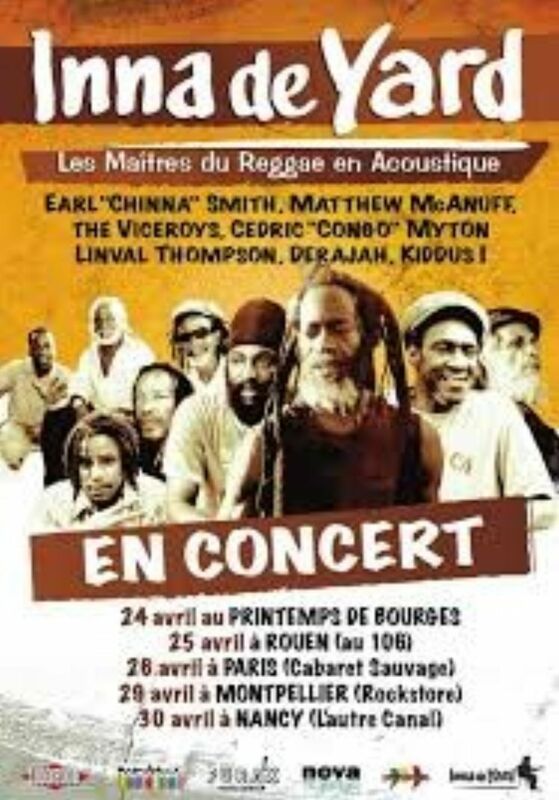 Another French tour was set again in May and June 2012, Smith’s daughter Jhamiela came with and performed with the band as vocalist and singer, along with Sabrina Pallini (Italian singer). 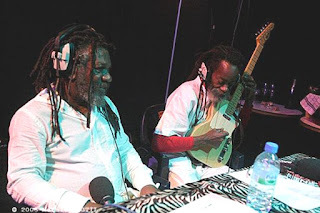 In 2009, Chinna recorded an instrumental version of The Heptones' album ‘Heptones on Top’ as a tribute to the band, along with Lebert "Gibby" Morrison; They had worked on this album for more than ten years ! In 2010, another Smith Cd has been released on the King Shark label, called ‘Chinna Way’. The experience of playing, jamming, recording (and eventually praying) in his home yard did not stop until now. In March 2013, he launched the ‘Jukebox Fridays’ inna de yard. 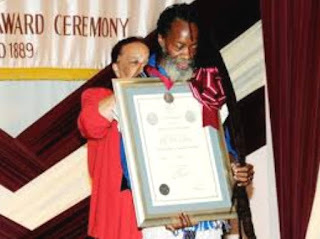 In October 2013, Chinna was awarded a “Silver Musgrave” Medal by the Institute of Jamaica. Smith was honored for his contributions to Jamaican music. 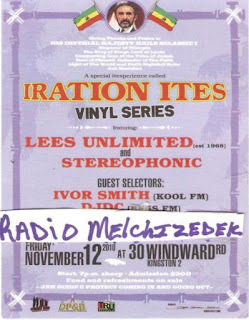 Smith organized more live ‘inna di yard’ acoustic sessions every week. Those jam sessions may have been broadcasted live (e.g. 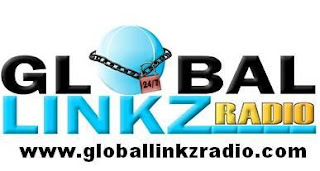 ‘innadiyard radiomelchizedek’ through the Ustream on the internet). Countless musicians and artists, came to his house for those ‘natural’ musical events. Chinna remains much in demand even as Jamaican popular music made the digital transition. 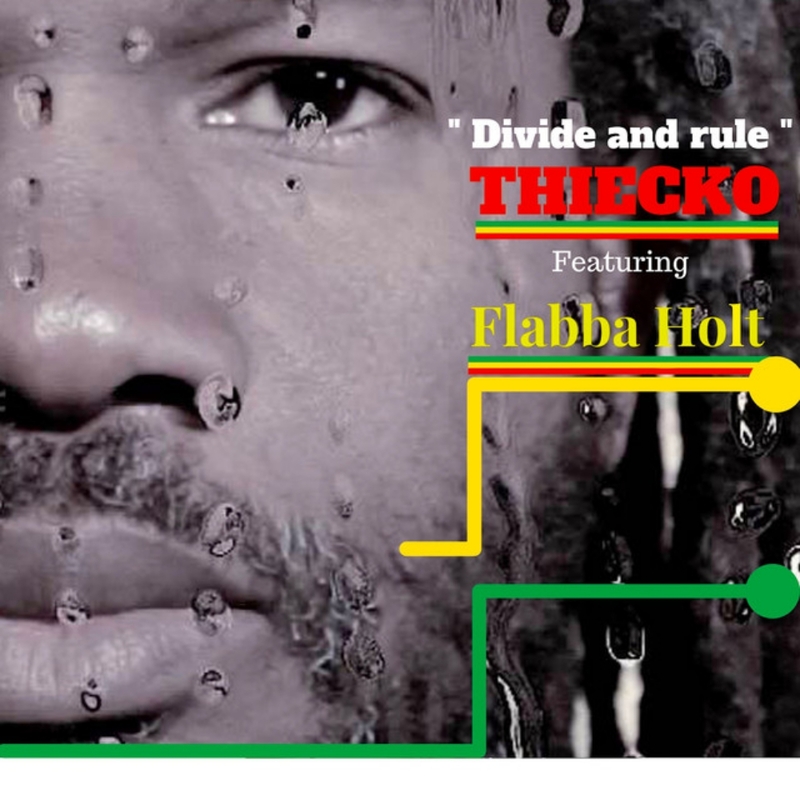 Nevertheless, for personal reasons, he did not want to take part in the current 2016/2017 ‘Inna De Yard’ new album release and tour project, unfortunately. Smith's children have followed him into a music career. His sons JahJah (born Jahmai) is working as a singer and Ashea (born Itayi) a deejay for their future. His daughter Jhamiela Smith Dunn is a singer too. Her first tour was with the Wailers when she was 22, and she has been performing as a solo artist and in collaboration with others ever since. Rastaman Vibration was released on April 30, 1976. It became the first and only Marley album to reach the top ten on the Billboard 200 Charts, peaking at number 8. Synthesizers were featured prominently on this album, adding a breezy embellishment to otherwise hard-driving songs with strong elements of rock guitar. This is one of the three Wailers solo albums released in 1976, along with ‘Blackheart Man’ by Bunny Wailer and ‘Legalize It’ by Peter Tosh. "It's not music right now, we're dealing with a message. Right now the music not important, we're dealing with a message. 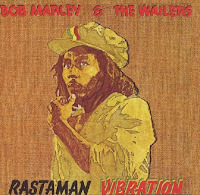 Rastaman Vibration is more like a dub kinda album and it's come without tampering y'know. Like 'War' or 'Rat Race', the music don't take you away, it's more to listen to. - Bob Marley June 1976 - "Rastaman Vibration"
The Rastaman Vibration Tour was a tour organised to support the album ‘Rastaman Vibration’ by Bob Marley & The Wailers. The tour began at the Tower Theater in Upper Darby, Pennsylvania, on 23 April 1976, and ended in Manchester, England, on 27 June 1976. 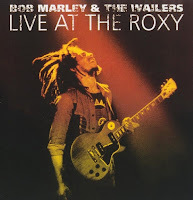 On the tour's second leg Marley performed for the first time in continental Europe and premiered in Germany, Sweden, France and the Netherlands.The album ‘Live At the Roxy’ was recorded during this tour, on 26 May. 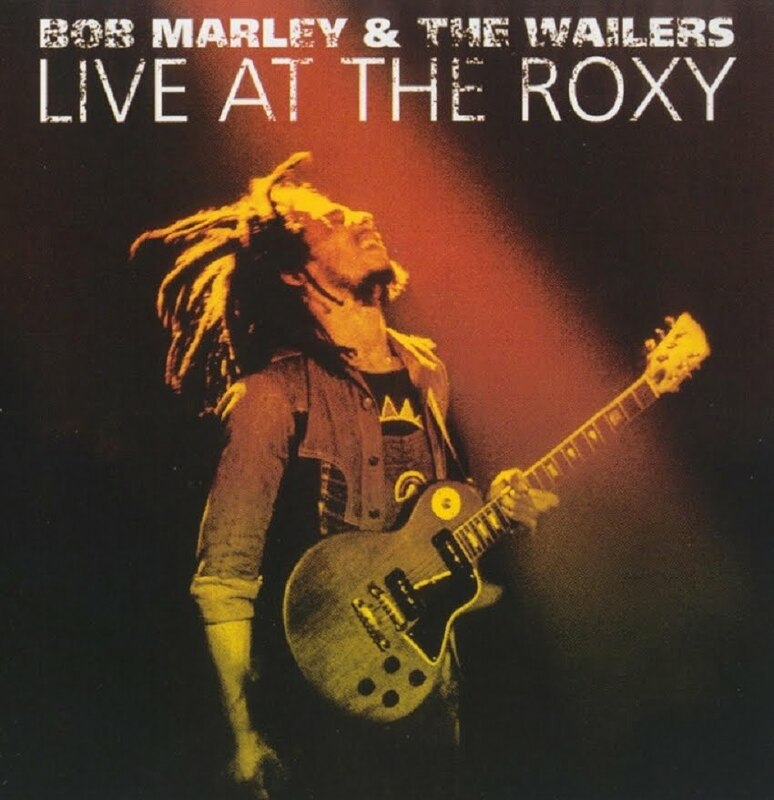 Live at the Roxy is a two-disc live album by Bob Marley and the Wailers, released in 2003. The album contains a complete concert, recorded on 26 May 1976 at The Roxy in West Hollywood California, during the Rastaman Vibration tour. This concert was originally broadcast live on the KMET radio station in Los Angeles. Because of the radio simulcast, this concert became widely bootlegged beginning in 1976. In 2002 the Marley family released the concert on the reissued Rastaman Vibration: Deluxe Edition, with a previously unreleased single "Smile Jamaica".On 24 June 2003 Tuff Gong released the complete concert, including the previously unreleased twenty-eight-minute encore, containing "Positive Vibration" and medley "Get Up, Stand Up / No More Trouble / War". Variations: High Times Music Distributed By High Times Ltd.
Distributer of the Jamaican label from Earl "Chinna" Smith launched in 1980: Chinna Smith launched his own High Times record label releasing records by Soul Syndicate, Prince Alla, Freddie McGregor, and many more Reggae artists and players. 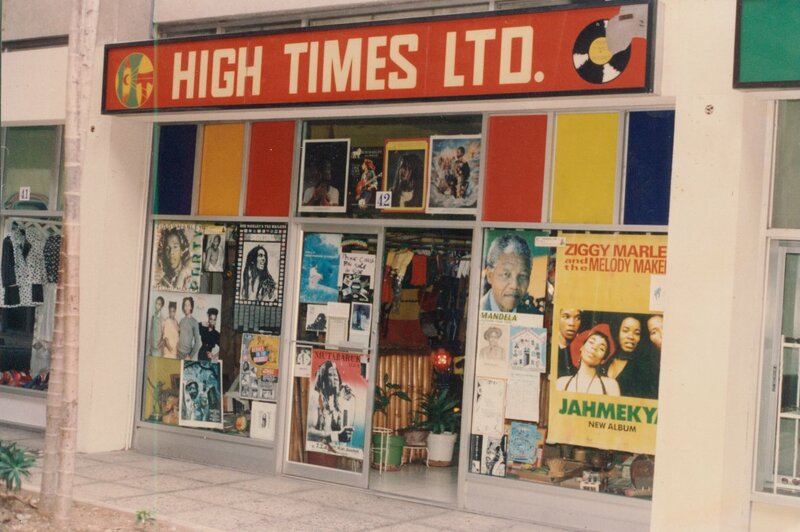 Chinna opened a records shop too, it was located in Kingston Mall Jamaica W.I. until 1996. Chinna thought that he too had to “put together something”: the High Times Players !!! 2000’ came out on Lp and Cd (MKS01). The musicians who played on this album are: Earl China Smith, Carlton ‘Santa’ Davis, Earl Bagga Walker, Pablove Black, Bongo Herman, Richie Mac, Aston ‘Familyman’ Barrett, Earl Wire Lindo, Harold Butler, Anthony Mackaruffin, Cedric Myton &The Tamlins ! For years, Earl "Chinna" Smith invited his friends to play live jam sessions in his yard of his Halfway Tree house in Kingston, where elders and youngsters crossed each other. 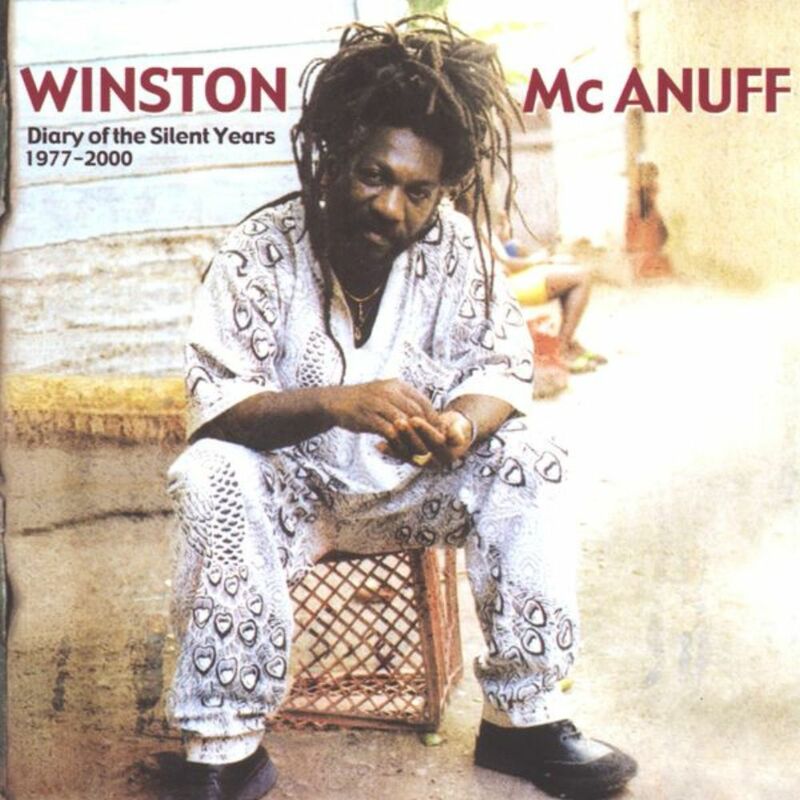 Winston McAnuff, Chinna’s friend since many years, went one day with Nicolas to Chinna’s house and introduced the Frenchie to him. They spoke about the Makasound project to record and to release albums with Jamaican musicians 'Inna De Yard'. … Later on, Nicolas has proposed to some of his famous pals to be part in the project : the Viceroys, the Congos, Junior Murvin (RIP), Linval Thompson, the Mighty Diamonds and Ras Michael Jr. Other singers and players came along and have also recorded one or two songs : Prince Alla, Derajah, Matthew McAnuff (RIP), Israel Voice, Ken Bob, Emmanuel I, Ade Culture… : the first ‘Inna De Yard’ acoustic experience was born! 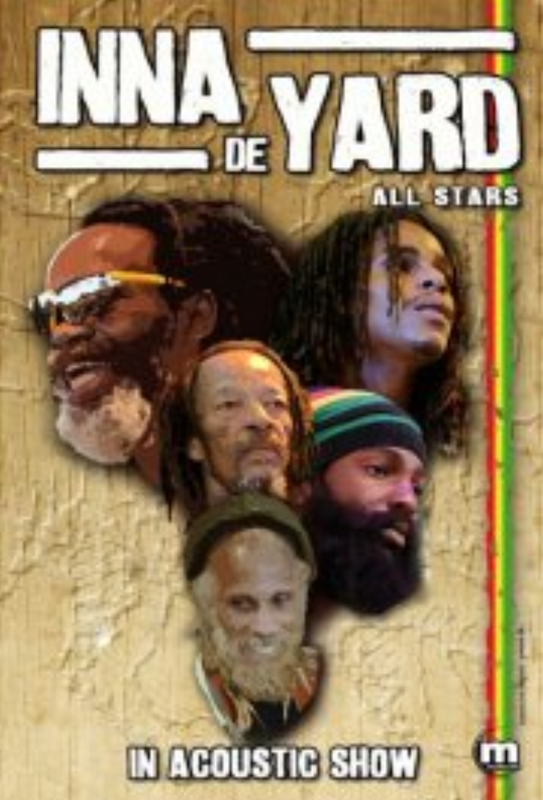 It lasted about 9 years, from 2002 until 2011 (lately, under the name ‘Inna De Yard All Stars’ - 2010). Here are most of the Makasound albums front sleeves of the ‘Inna De Yard ‘series. 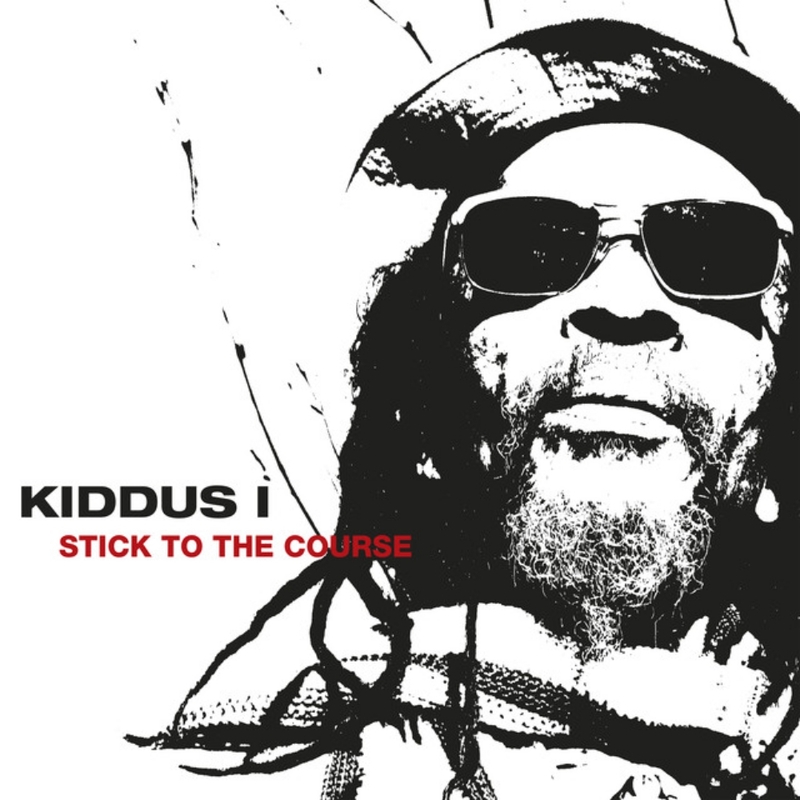 ➔ it will be presented and detailed in a next Inna De Yard discography. ➔ it will be detailed in a next Inna De Yard discography. 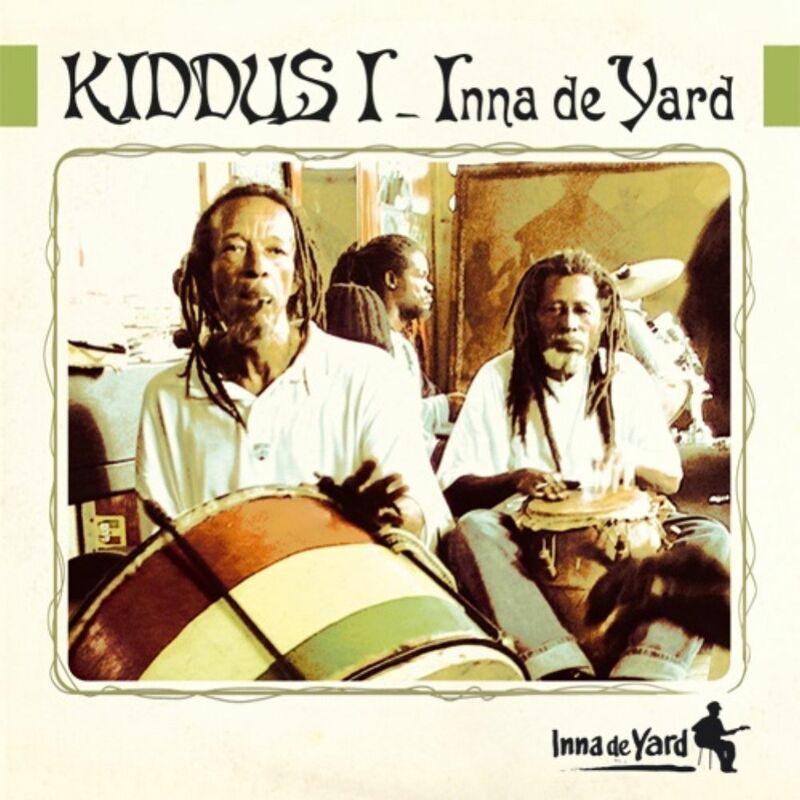 In 2009,the Inna De Yard collection celebrated its 5th anniversary. A first French tour was organized. A ‘Live In France’ album (Cd + Dvd) has been recorded then and released the next year. Another European tour followed to promote this album, then a third French tour was organized in 2012…. ➔ these tours performances will be commented in a next Inna De Yard discography. 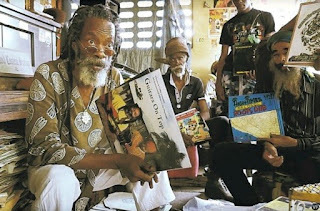 In March 2013, Chinna launched the ‘Jukebox Fridays Inna De Yard’: every Friday night,from around 7:30pm to 11:30pm,a 7inch session is been held on the 35-year-old jukebox beauty at “Inna Di Yard”, 6 St. Andrew Park, Kingston. 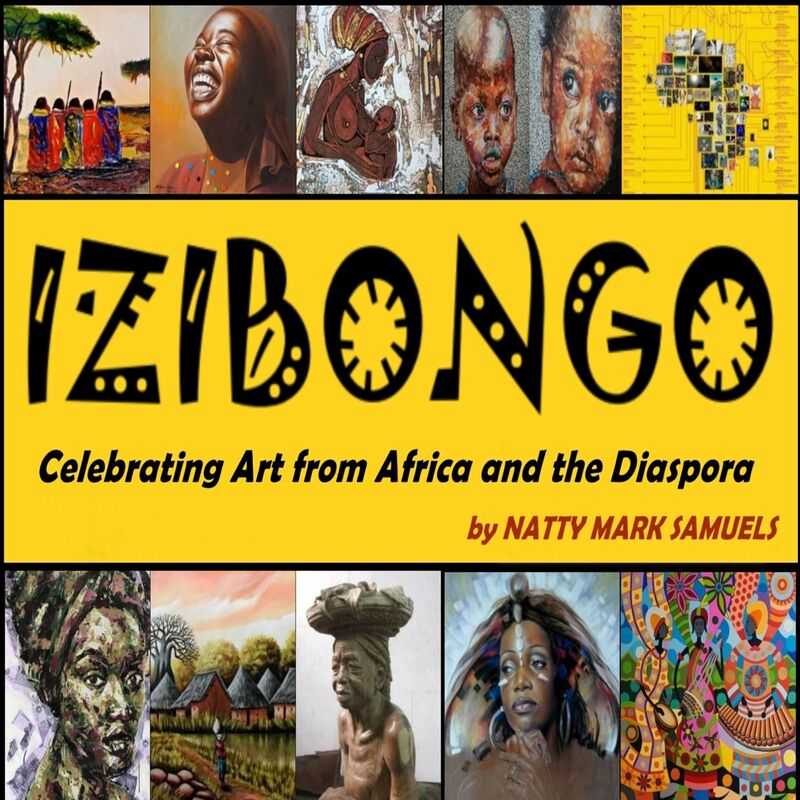 There is no admission for entering the yard to enjoy this extraordinary cultural roots Reggae evening. But as Chinna said: “for $5 you can play a track on the jukebox and buy your lady or yourself a drink is highly appreciated and keeps the place going”. JukeBox Fridays give all up and coming, Jamaican legends as well as established Artists and Reggae music lovers a venue to just be themselves and enjoy live and direct music ! In October 2013 Chinna was awarded a “Silver Musgrave” Medal by the Institute of Jamaica. Smith was honored for his contributions to Jamaican music. 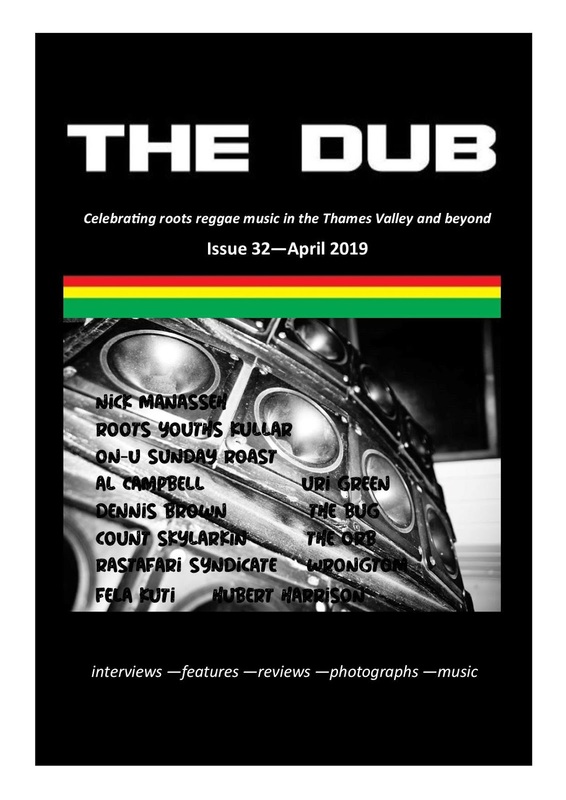 Having been at the forefront of the Reggae music for nearly a half-a-century, Smith has had a great vantage point witnessing the growth and development of Reggae music, since its embryonic stages in the early 1970s. Earl 'Chinna' Smith looks at his citation as Barbara Gloudon fits his Silver Musgrave Medal during the Institute of Jamaica's Musgrave Medal Award Ceremony at the institute's complex. Fellow Jamaican music pioneer Reinford Lee 'Scratch' Perry, who was absent from the event, received a Gold Musgrave, along with Prof Franklin Knight (contribution to Literature). At the ceremony, the cheers and applause were practically non-stop as Smith was called to the stage to receive his medal and citation. A true showman, he at first stood arms akimbo, smiling; that garnered a few more "Yes Chinnas" from the audience. They were on their feet as he accepted the award. 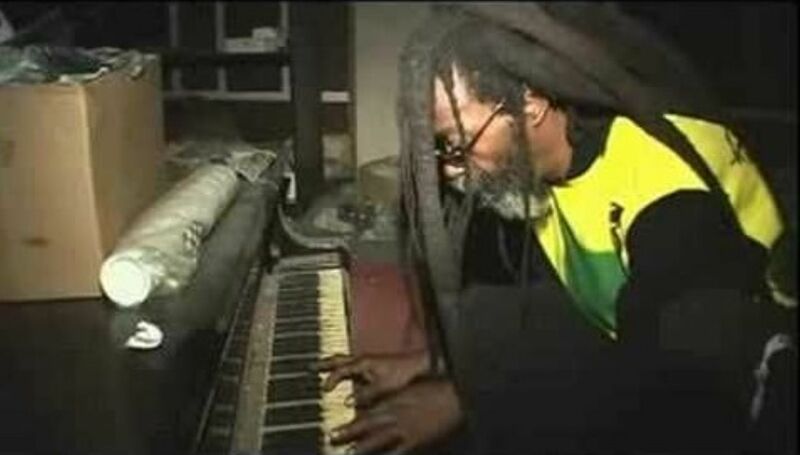 Smith was cited for playing an integral role in the development of reggae music. He has worked with some of the genre's biggest acts, including Bob Marley, Dennis Brown, Augustus Pablo, Ras Michael and the Sons of Negus, Jimmy Cliff and Sly and Robbie. People will gather from countries all around the world like Spain, Italy, and America as well as locally to celebrate with Jamaican master guitarist Earl "Chinna" Smith.Many come to pay their respects as they perform in his back yard amongst his community. The live broadcast was sponsored and produced by Second Nature and was directed by Adrian Allen of Steadyimage.net a well respected and well known Multimedia Production Company out of Fort Lauderdale Florida, operated by young talented home bred Jamaicans. When Steady Image saw an opportunity to record history they immediately jumped on it and launched this video on Realvibez.tv, where it was broadcasted to the world. Some of the artistes who performed in the three day celebration that spanned from Monday August 11 to Wednesday August 13 were Dela Manley, The Congos, Royal Kings, The Mighty Diamonds, Sabrina, Kai, Abdel, Racate band and has recorded many reggae artists. 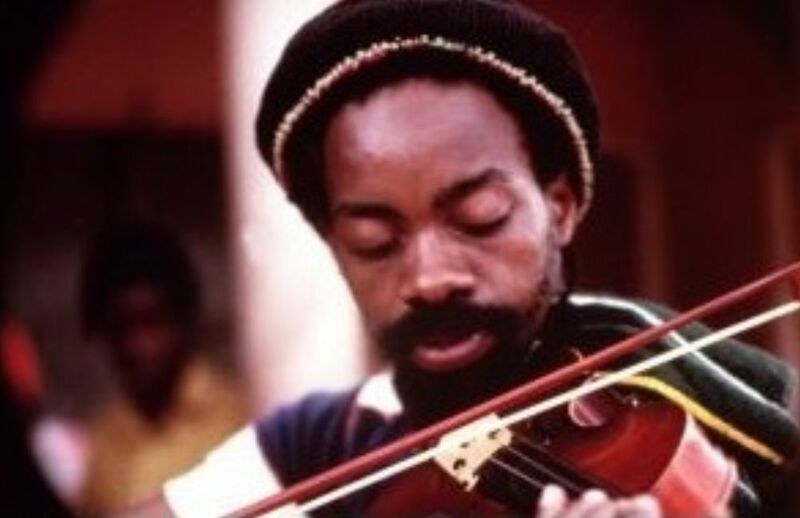 He played with Bob Marley and Ras Michael and Viceroys and Friends. Chinna Smith is well known for his work with the Wailers and Soul Syndicate and has most recently recorded and toured with Ziggy Marley and The Melody Makers. Chinna has however brought his touring to a halt and opted to work with the musical youth of his community. Chinna loves to play all kind of music : anything from Reggae, Rock to Jazz, Binguystra, all the time, music everywhere… “he is just a living guitar” !!! It's going to be called 'Binghistra'. That's the latest project from legendary reggae musician Earl 'Chinna' Smith as he continues a journey started more than four decades ago. "Is like getting Nyabinghi with an orchestra," he explained. "Mi a try because we really have to do something different”. Smith was speaking to The Gleaner yesterday after receiving his Silver Musgrave Medal at the Institute of Jamaica in downtown Kingston. Smith explained that Binghistra would incorporate that famous Nyabinghi drums with classical instruments. This acoustic series Inna De Yard, held in his Kingston home, is the place to hear roots legends like Kiddus-I, The Mighty Diamonds, plus a myriad of studio sessions, countless shows and many notes played. His latest project still brings a sparkle to his eyes. "What happen (musically), happen already," said Smith. “We would like add something new to the ting”.